Ski holidays Les orres : compare ! Les Orres is located in the heart of the Sothern Alps, home to some of the most well-known ski areas in France. Excellent for skiing holidays, snowboard or cross-country skiing, there is so much to discover in the Southern Alps. 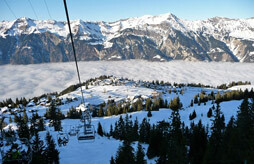 With 88km of ski terrain offered in Les Orres, skiing is offer for all abilities. Les Orres offers outstanding panoramic views of the resort including the lake Ponçon. 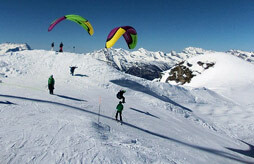 Les Orres boasts a wide variation of exciting activities including ice climbing and paragliding. There is something for everyone in Les Orres. Come and discover the breathtaking landscapes and lively activities in Les Orres and be sure to leave with unforgettable holiday memories. Find the cheapest apartment or chalet by comparing the offers. For the best deals on winter holiday rentals and apartments in Les Orres and the Southern Alps, use our unique comparison site to find the best offers on your next holiday in Les Orres.